A pupil has got her skates on to win a place at a prestigious national ice skating competition just a year after first stepping on the rink. Until 12 months ago, Year 11 pupil Hannah Eastwood had only ever tried ice skating on her Wii games console. Now, after gliding through the ranks, she is set to compete in the British Synchronised Skating Championships from 18-20 January. For just three months, Hannah has been one of 10 girls, aged between 10 and 16, in the Team Emerald synchronised skating troupe and she will now be going for gold at the National Ice Centre in Nottingham. Synchronised skating is a sport where between eight and twenty figure skaters perform together as a team, moving as a flowing unit at high speed over the ice, while completing complicated footwork. 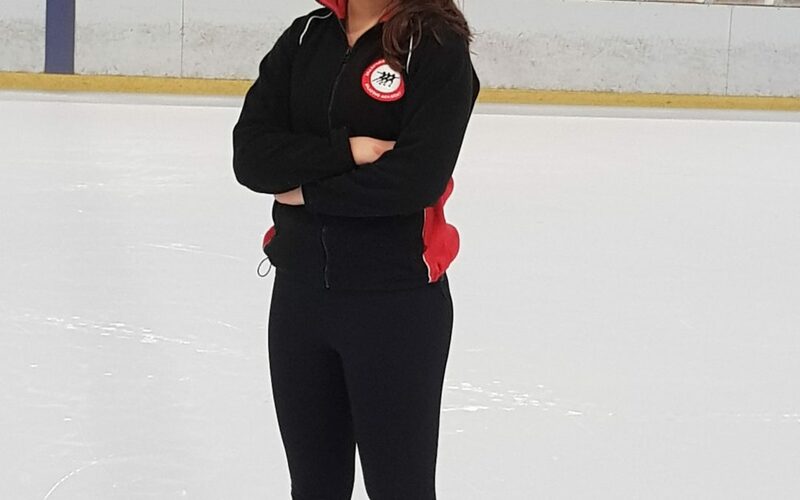 Hannah now trains with Team Emerald every Friday at Bradford Ice Arena, either on the ice or in a dance studio for stretch and strengthening training. This will be Hannah’s first ice skating competition, but she is no stranger to the cut and thrust of competitive hobbies having already competed in ballet, gymnastics and trampolining. Hannah only took up the discipline after attending a disco dancing session at Bradford Ice Arena, and enjoyed it so much she began weekly lessons. She was assessed as a Level 4 skater almost immediately and, in just a short time, has progressed to Level 7. She was asked to join Team Emerald and is now working towards her Gold award before taking on the National Ice Skating Association of Great Britain and Northern Ireland (NISA) award. Hannah also hopes to work towards taking part in solo competitions and hasn’t ruled out a career as a professional skater. For now, Hannah is concentrating on juggling her upcoming GCSE exams at Tong Leadership Academy with skating training, which she says helps her to relax. 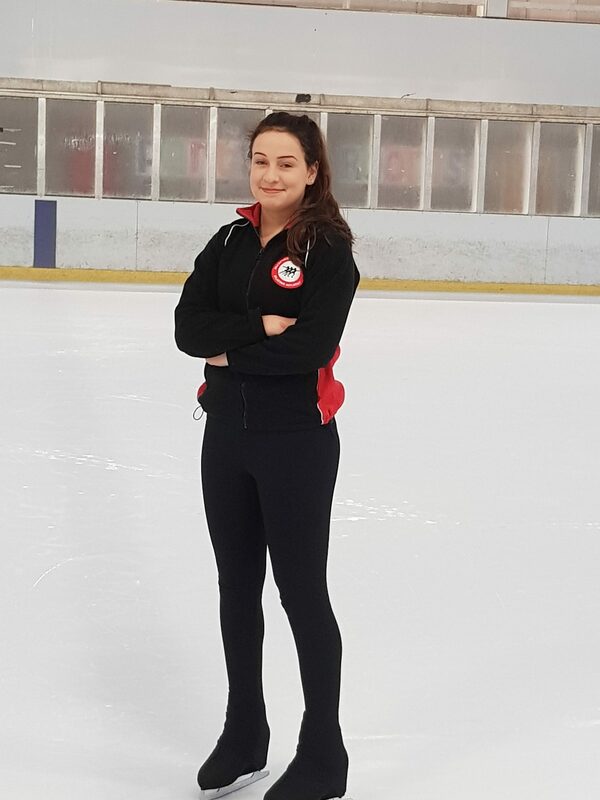 ICE QUEEN: Tong Leadership Academy pupil Hannah Eastwood hopes to bring home a gold medal at the British Synchronised Skating Championships, just a year after taking up the sport.